As typical for most open pit mining projects, Kumtor must relocate a large volume of waste rock and other materials in order to safely access the ore. The waste rock is deposited in agreed designated locations and is routinely monitored. 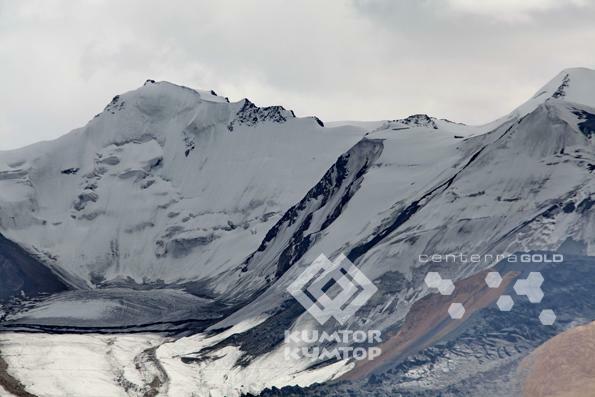 Kumtor’s high altitude mining operation is in close proximity to active glaciers, with part of the ore deposit and associated infrastructure extending beneath or affected by moving glaciers. The purpose of ice removal is to provide safe access to ore, and safeguards the open pit and workers from inundation of ice. In response to stakeholder concerns and emerging legislation seeking a ban of glacial ice removal in the Kyrgyz Republic, we describe relevant information on our practices and put our impacts in the context of regional and global trends. Independent experts conducted glaciological studies to determine the impact of KGC operations on glaciers of the Ak-Shyirak massif. Upon results of the studies, it was concluded that impact of KGC operations on glaciers in the region was insignificant. are conducted by the Institute of Water Problems and Hydropower under KR NAS with involvement of experts from MGU (Moscow State University, Russia). The project of monitoring glaciers and meteorological conditions within the concession area of CJSC “Kumtor Gold Company” (KGC) in the basins of Arabel and Uchkol rivers was developed in collaboration with KR Government and was supported by relevant agreements between the Institute of Water Problems and Hydropower of KR NAS (IVP & GE KR NAS) and KGC. The monitoring program aims to assess the status of glaciers and trace the dynamics of their change (movement rate, linear retreat, and surface depression) and reflective properties of their surfaces (albedo) within the area of immediate anthropogenic impact by KGC and comparison of obtained data with similar observations undertaken on glaciers located at significant distances from the mine. 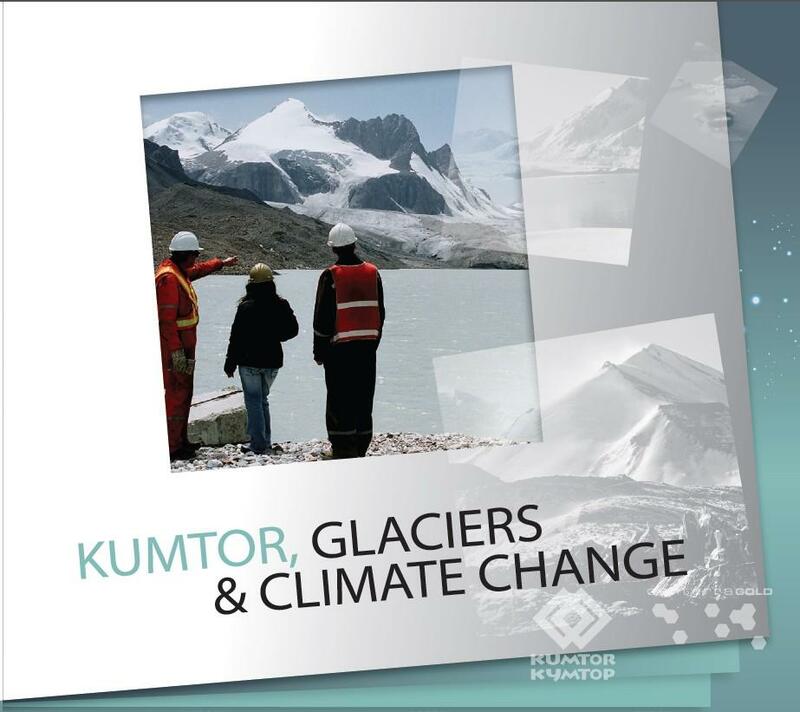 Measures to manage glaciers and ice have been a feature of mining operations at Kumtor from the beginning of the project in 1994. We have adjusted our practices over the years. In response to concerns raised by some stakeholders, we no longer deposit waste rock on glaciers. We now segregate waste rock and ice and avoid co-disposal. Ice removed by Kumtor as part of its mining process is deposited back on other ice fields. 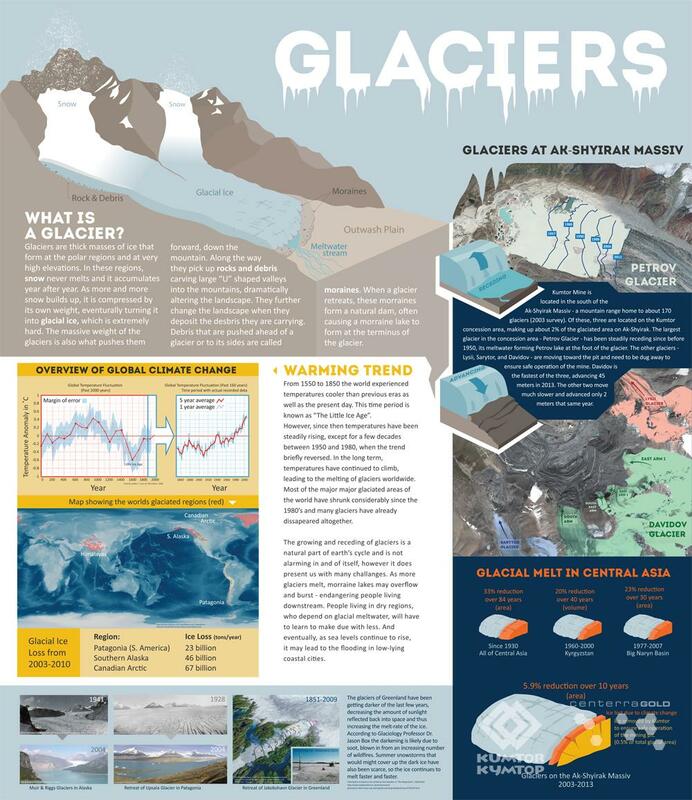 The volumes of ice removed by Kumtor are small compared to the ice loss due to natural retreat (attributed to climate change), representing approximately 6 percent of natural ice loss from these same glaciers. The mining impacts are even less significant when compared to the long-term regional trends. 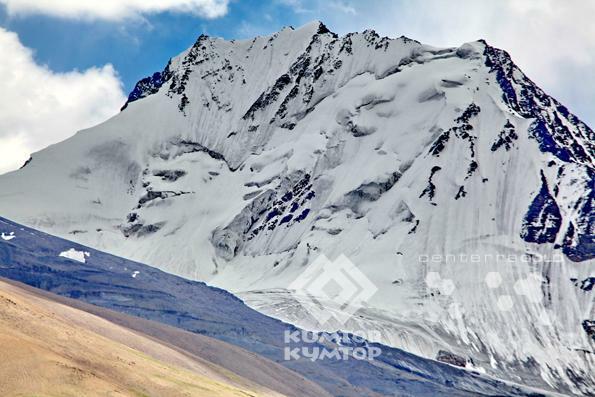 Kyrgyzstan is a high elevation country with permanent ice and glaciers being a key part of its character. Approximately 94 percent of the country is more than 1000 metres above sea level, 40 percent more than 3000 metres, and 4 per cent of the country is permanently under ice and snow. The impact of climate change has been observed in Central Asia over the past century. According to the United Nations Development Programme (UNDP), nearly 1/3 of the glacial area of Central Asia has disappeared since 1930, including the glaciers of the Kyrgyz Republic. The Kyrgyz government’s 2009 submission to the United Nations Framework Convention on Climate Change (FCCC) reports that total glacier volume in year 2000 had reduced by about 20 percent since the 1960s. The same report predicts that, for the most likely climate change scenarios, the area of glaciation will reduce by between 64 and 95 percent between years 2000 and 2100. The Kumtor Gold mine lies on the western edge of the Ak-Shyirak mountain massif, which covers around 1,000 km2 and contains many glaciers, including those adjacent to the mine. A cientific study of glacier retreat on the massif by Petrakov and others (2013)* provides a more accurate assessment than previous studies. The study also considered the direct and indirect impacts of mining operations on glacier loss. 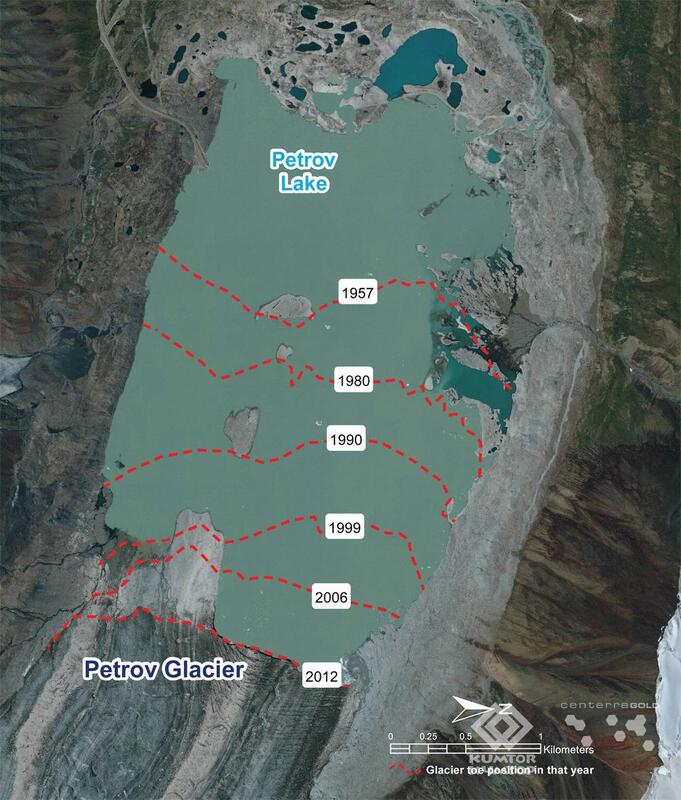 The study compared historic and new satellite imagery to measure changes in glacier area. Between 2003 and 2013, total glacier area on the massif reduced from 373.2 km2 to 351.2 km2, which is in line with observations across Central Asia. This is a reduction of 21.9 km2 or 5.9 percent. Over the same period the study reports a mining-related ice loss of 1.9 km2, representing approximately 0.5 percent of total glacier area. The annual volume of ice loss was evaluated to be 220 million m3, or approximately 200 million tonnes. By comparison, active ice removal for mining was 30 million tonnes in 2013, and an average 4 million tonnes per year since the start of mining. Some stakeholders have expressed concern that dust from mining may increase ice loss in the wider region by increasing heat absorption from the sun. If true, ice loss rates would reduce with distance from the mine. The study found that “shrinkage rates of glaciers in the Ak-Shyirak massif do not depend on distance from Kumtor mine.” Similarly, other studies have confirmed that mining related dust deposition is insignificant when compared to the natural dust deposition on glaciers.